This weekend’s release of Deadpool shattered all box office expectations, creating a new record for a February movie release with $135 million dollars. It also forged a new record for the highest-opening for an R-rated film, beating 2003’s The Matrix Reloaded by more than $40 million dollars. Filmed in various locations in the Lower Mainland, Deadpool also gives our local film production industry another win: the movie injected $40 million dollars into B.C.’s economy for the 58 days it shot here. Over 2,000 crew members, local actors and extras were employed, giving these trained workers $19 million in wages. Starke may be referring to the climactic car chase and gunfight sequence that was filmed on downtown Vancouver’s Georgia Street Viaduct. 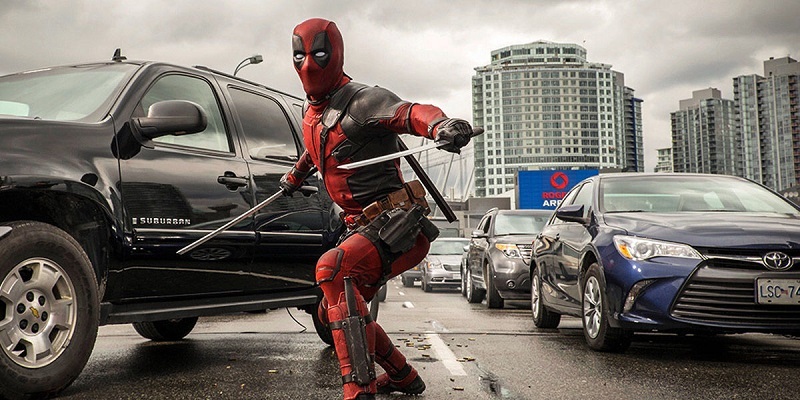 In April 2015 the Deadpool production shot on the Viaduct, with the roadway closed to traffic for 10 days. The sequence is one of the movie’s longest ones, showing off the False Creek waterfront and skyline of Vancouver as the red-and-black costumed superhero squares off against armed bad guys. Deadpool faces bad guys on Vancouver’s Georgia Viaduct. The Mayor makes an important point. Vancouver and B.C. have earned the nickname “Hollywood North” for the hundreds of movie and television productions that have filmed in our backyard. But when you take a closer look at the dollar impact, you’ll begin to see how this creative sector helps pump tens of millions of dollars into our economy. While B.C.’s reputation for highly experienced crews helped, let’s not forget that local boy-made-good Ryan Reynolds also played a huge part in getting Deadpool to the big screen. Reynolds had first originated the merc with a mouth character in 2009’s X-Men Origins: Wolverine, which had some pick-up photography shot at UBC. While that movie’s version of the character wasn’t what Reynolds had hoped for, his belief in giving Deadpool a second screen chance and getting back to the comic book roots of the hero have now paid off. Big news for B.C.’s music sector! The provincial government has announced the creation of a $15 million dollar B.C. Music Fund. This fund will help promote and facilitate British Columbia’s music sector across all regions of the province, stimulate more jobs for musicians and those working in the industry, and bring more celebration to the diverse musical talent native to our home province. 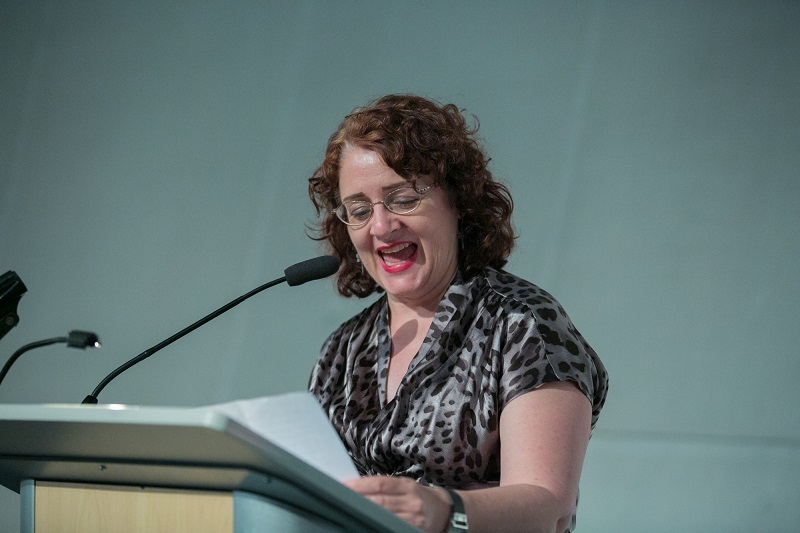 Creative BC will administer the $15 million dollar fund. It’s anticipated that the fund will touch upon every aspect of music that’s performed, recorded and created in B.C. Examples of how the new Music Fund could be used include creation of new live music venues, bringing musical acts on tour throughout British Columbia, strategic development to grow the music industry, and allowing more musical acts more access to record their work to be enjoyed by national and international listeners. In addition to Bublé, many other musical superstars have emerged from B.C. Sarah McLachlan, Bryan Adams, Carly Rae Jepsen, Nelly Furtado, David Foster, Diana Krall and Art Bergmann are just some of our notable musicians. As well, there are the bands like 54-40, Hedley, The Dave Matthews Band, Spirit of the West, Loverboy, D.O.A. and many others who hail from here. B.C.’s music industry is an important creative catalyst, from live acts performing in venues to sound engineers working inside one of the 123 recording studios that can be found in our province. B.C. music is also a draw for tourism dollars, with local festivals attracting tens of thousands of visitors per year. We eagerly await to see what new opportunities and music talent emerge from the B.C. Music Fund. On Wednesday, July 8 the new world headquarters of Sony Pictures Imageworks held its grand opening celebration. Centrally located in downtown Vancouver, the 74,000 square foot facility now employs 700 full-time digital animators and special visual effects artists, making the city tops in the world for workers in this industry. Premier Christy Clark and Vancouver Mayor Gregor Robertson attended the opening and took the opportunity to speak about the growing presence of B.C. as a visual effects powerhouse. According to the latest information released by the Vancouver Economic Commission, B.C.’s largest city is now the world’s biggest hub for animation and special visual effects. The latest estimates peg over 5,000 people as being employed by local animation and effects studios. Imageworks is busy creating the computer generated animation for Hotel Transylvania 2, featuring the voices of Adam Sandler, Selena Gomez and Steve Buscemi. They are also working on crafting special effects for next summer’s superhero film Suicide Squad and the reboot of Ghostbusters starring Kristen Wiig and Melissa McCarthy. Special effects for the next Spider-Man movie will also be done at the Vancouver facility. 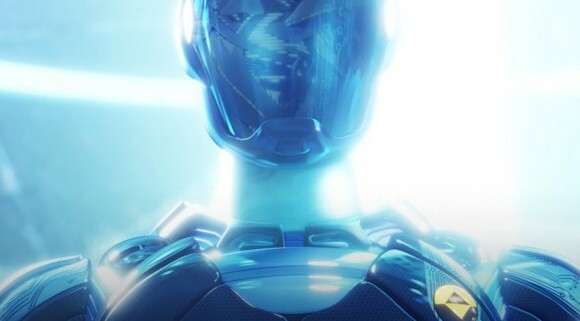 Reboot, one of the first-ever computer generated television shows is returning to television, and it’s being rebooted in its home province of BC. Corus Entertainment has ordered 26 episodes of Reboot: The Guardian Code, a follow-up to the pioneering CG childrens program that was first broadcast more than 20 years ago. With its new and updated graphics, the new Reboot returns viewers back inside the digital realm where sprites and other code creations live inside your computer. Whenever a user plays a computer game the characters must also take part in the action and play along. The original show ran for 48 episodes and was broadcast in 84 countries, including on ABC’s Saturday morning line-up of programming. It broke new ground for using computer graphics, which back then (one year before the first Toy Story movie debuted in theaters) was still untested ground for entertainment. The Guardian Code will feature four new characters sworn to protect both the world in cyberspace and the one we live in. The Vancouver-based computer animation and visual effects company Rainmaker Entertainment will code the show, with its expected broadcast date sometime in 2016. Rainmaker was also the original creator of the first Reboot via its production company Mainframe. “Technology is ever-changing and Reboot: The Guardian Code will utilize the very technology inherent in the concept of the show—and prevalent in kids’ everyday lives…empowering kids with the tools and confidence to chart their own course in a world that is increasingly dependent on and powered by technological knowledge,” said Rainmaker president Michael Hefferon. Vancouver, BC – As part of Creative Industries Week in BC (April 27 – May 4), BC’s screen production community is joining VIFF Industry to pay tribute to one of the Province’s pivotal industry builders, X-Files creator Chris Carter. Canadian Film Day on April 29 is the platform for the special gathering hosted by VIFF Industry. The screen production community, joined by colleagues from across music, digital media and book & magazine publishing, will recognize Carter’s contribution to BC’s industry evolution, with five seasons of ground breaking X-Files. 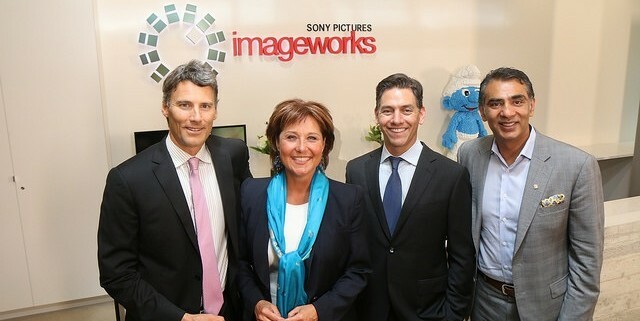 The series helped to put British Columbia on the map as a production centre and also served as a local talent incubator and career launch for many BC production professionals. A new communications initiative, ‘BC Creates’ – led by BC’s creative industry stakeholders across screen, music, digital media and book & magazine publishing – is also being introduced at the event to celebrate British Columbia’s evolution into one of North America’s dynamic creative industry hubs. “When the X-Files came to BC in 1993 it marked an important milestone in the development of BC’s production industry. We’ve since built a remarkable creative economy that collectively represents $4 billion in annual GDP and more than 85,000 jobs,” said Motion Picture Production Industry Association Chair Peter Leitch. 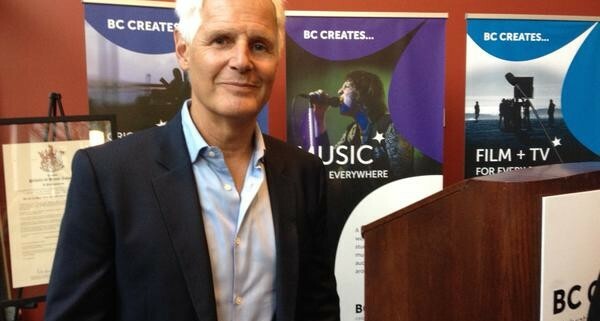 “We are delighted to honour Chris Carter’s contribution to BC’s creative industries, as we launch the BC Creates initiative – he has played an important role in this market and continues to do so, particularly with the exciting news that the X-Files is circling back to Vancouver this summer for six more episodes,” Leitch added. 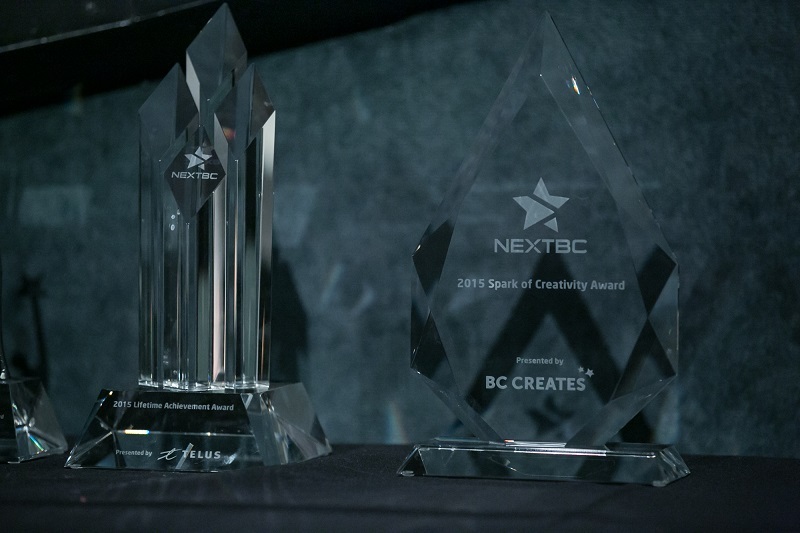 BC Creates is poised to build in social media and online with @bccreates, #bccreates, Facebook, www.bccreates.com as well as through trade and special events, and traditional media. The film also stars Hugh Laurie as brilliant scientist David Nix, Raffey Cassidy, Tim McGraw, Kathryn Hahn, Keegan-Michael Key and Thomas Robinson. “Tomorrowland” is produced by Damon Lindelof, Brad Bird and Jeffrey Chernov and directed by Brad Bird, with John Walker, Bernard Bellew, Jeff Jensen and Brigham Taylor serving as executive producers. “Tomorrowland” opens in theatres on May 22, 2015.